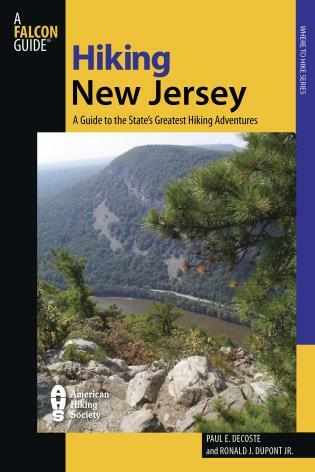 New Jersey's stereotype as overpopulated and industrial notwithstanding, there's another <?xml:namespace prefix = st1 ns = "urn:schemas-microsoft-com:office:smarttags" />New Jersey worth seeing—and this guide goes there. This is the aptly nicknamed Garden State of preserved forests and farmland, of streams and waterfalls, of clean beaches and vast wetlands, of endless green mountains. This comprehensive, informative, user-friendly guide describes fifty hikes for all abilities. Paul E. DeCoste is a native of New Jersey, brought up in a hiking family. As a nipper, he explored Mount Tammany, traversed the ice-covered Great Swamp, vacationed on Cape May Point, and tramped about Jockey Hollow on Sunday afternoons. As a member of the New York -New Jersey Trail Conference, he became part of the New Jersey volunteer management team for the Appalachian Trail, relocating it through the Great Valley and up the Wawayanda Mountain. As one of the creators, he taught Take a Hike and Appalachian Trail as an Educational Resource, encouraging folks to utilize the New Jersey park systems. Graduate of East Stroudsburg and Drew Universities; he taught for thirty years within the Garden State. Married with two children, he resides in Sussex County. Ronald J. Dupont, Jr., is a lifelong resident of northwestern New Jersey and a 1985 graduate of Columbia College, Columbia University. Over the last two decades, he has written three books and numerous articles on history in Sussex County and northern New Jersey. A Life Member of the New York-New Jersey Trail Conference, he is a longtime trail maintainer in High Point State Park. Among other trail-related activities, he prepared an historical and archaeological survey of the Appalachian Trail in New Jersey for the New Jersey Management Committee of the Appalachian Trail Conference. Married with two children, he lives in Highland Lakes, New Jersey.